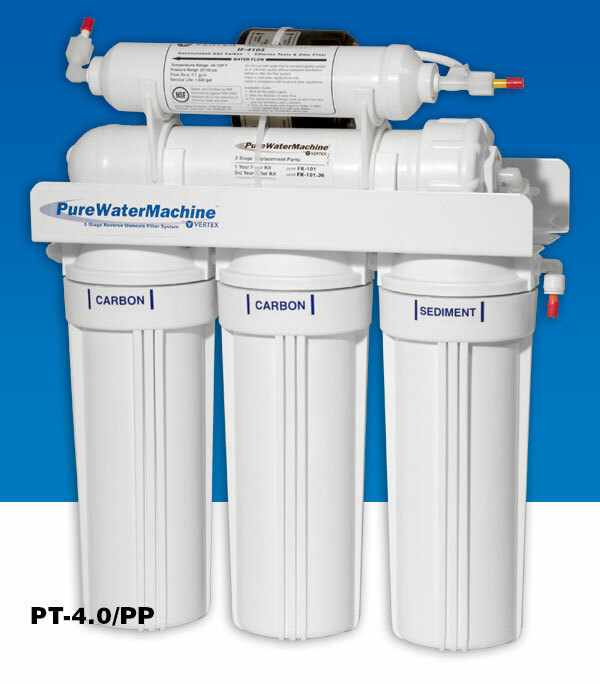 Install anywhere with a 4-stage or 5-stage permeate pump RO system. For use where the water pressure is marginal (30-45 psi) and there is no power available for a booster pump. Use Permeate Pump models where the water pressure is marginal (30-45 psi) and there is no power available for a booster pump. Using a non-electric permeate pump, this model recovers pressure energy from the brine discharge and forces product water to the storage tank. 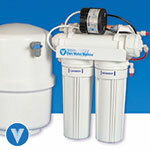 This reduces the membrane back pressure and increases clean-water production efficiency. In this system the normal autovalve is replaced by the permeate pump. The tank pressure will be brought to 90% of the inlet pressure (instead of 67%), thus increasing the flow from the faucet. All other specifications are the same as the PT-4.0. 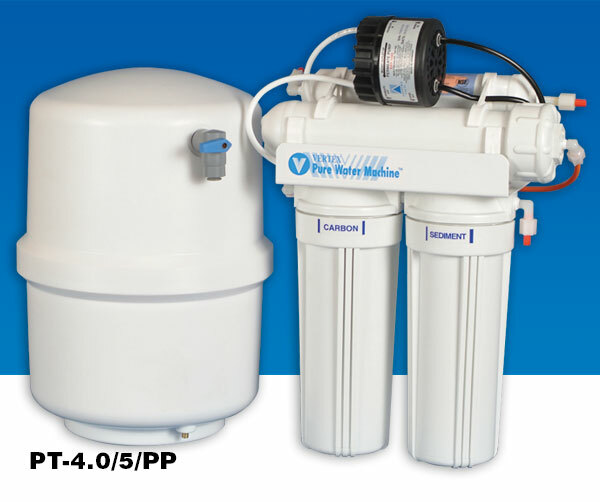 The 5-stage system is designed to ensure water quality, membrane performance and filter life, where the incoming water contains a high amount of sediment as in some well water systems. An extra pre-filter stage is added before the membrane. This design can also be used to extend time between filter changes. The permeate pump may also be ordered separately to improve performance of an already installed unit.